Are you tired of clearing pencil and eraser shavings off of the dining room table before supper every night? Is your little one spreading crayons and coloring books across your living room or family room floor? Perhaps its time to get them their own desk to work and play on. Kids desks come in many styles and sizes and have different features available. 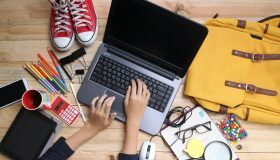 Here are some things you want to consider when shopping for your child’s desk. We know kids are tough on toys and furniture so its vital that the desk you purchase is durable. Kids beat on things, bite things, draw on them, and so much more. So, it needs to be durable from a physical standpoint and an artistic one because you often can’t erase your child’s artwork once they write on furniture. The desk will probably endure marker, paint, and crayon markings for years. A plastic desk reinforced with steel cleans easier than wood and lasts a long time. Solid wood with a protective coating will also last a long time. It could even survive until they are teenagers if you maintain the desk properly. Your child’s height is something you want to consider when desk shopping. If you want a desk that will grow with your child, pick one that adjusts as mentioned previously. These desks may be a little more difficult to find, but it’s worth looking into since it will extend the desk’s life. To be comfortable, children should be able to sit at the desk with their feet touching the floor. You can also buy a larger desk for them to grow into. Put a footstool underneath the desk so they can prop their feet up. It’s a given that the desk needs to be aesthetically pleasing. We advise you to choose something with a clean, classic look that will always be in style so that it looks great with any current or future furniture that your child may want. We all know that your kid’s room will change many times as they grow up. 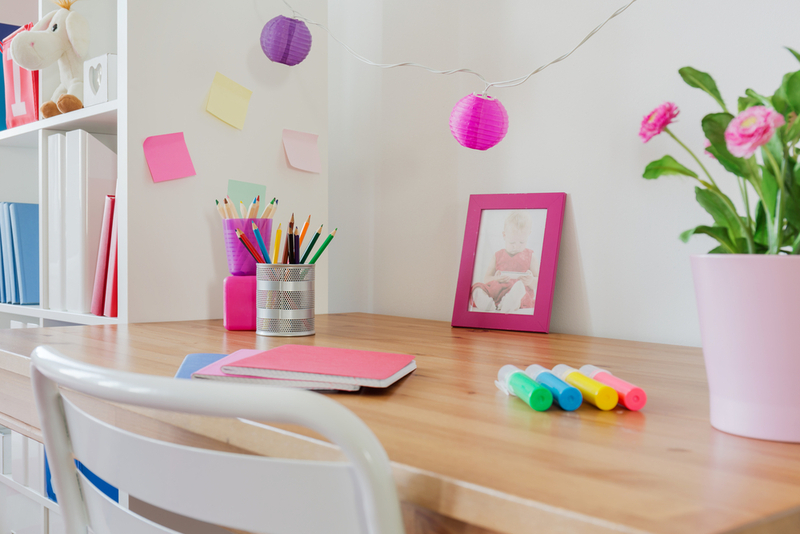 Most kids’ desks come in a variety of finishes so you can find one that matches your décor and furniture. 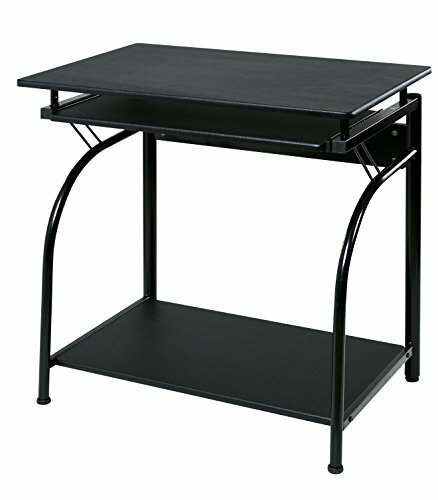 Is the Desk for Studying or Other Activities? 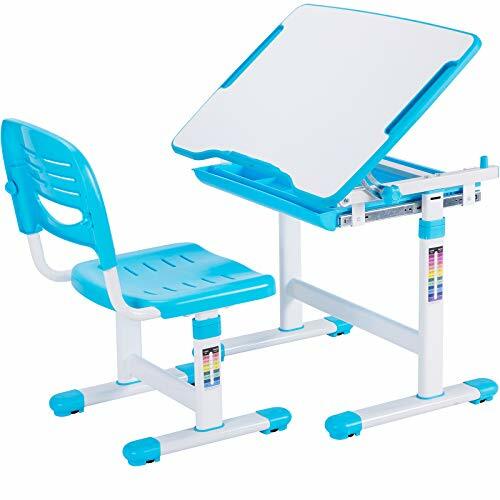 Most study desks are flat or slightly inclined and often have a simple design. They usually have storage for notebooks, books, papers, and other essential documents. The desk should also have a place to store office supplies. Many desks have keyboard trays for desktop computers as well. Activity desks are simply tables for kids to work on. They may include storage or cubbies for coloring books, crayons, and other craft supplies. Activity desks center around creativity and art projects. Manufacturers usually design these desks for younger children. There are also hybrid desks that can function as both types. We’ve researched and found some of the best kids desks available today to help you narrow down your search. Here are some of our favorite desks for kids. 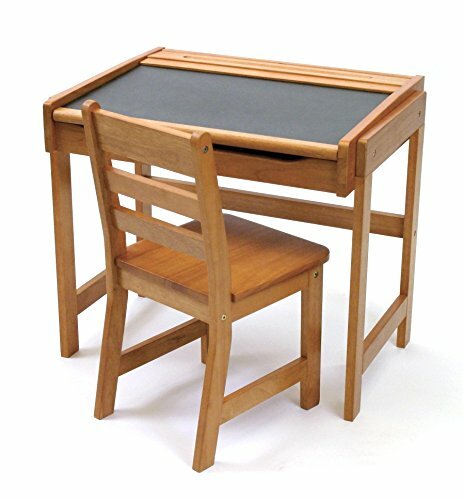 This adorable kids’ desk is a school desk with reinforced legs built to last for a long time. It has a safety-hinged lid and is easy to put together with a Phillips-head screwdriver. Crafted from sturdy, high-quality wood this desk fits in with the home décor you already have. It comes in blonde, espresso, or white finish providing you more options to match your furniture. This desk has an elegant and classic style that’s easy to clean. It’s great for children 3 to 8 years old and up to 150 lbs. You can also pair it with the matching wooden toy chest by Melissa & Doug for more storage. 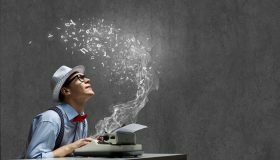 This company has been in business for over 30 years, and they create charmingly-designed furniture that sparks the imagination. NBC calls their products, “The gold standard in early childhood play.” They guarantee you’ll love their products and if your child isn’t encouraged to create when using their toys and furniture, they’ll make it right if you contact them. Melissa & Doug hope to promote learning, creativity, free-play, imagination, and discovery. At only 19 lbs. this desk is easy to move around if necessary, yet sturdy enough to put up with abuse from young children. Its an extremely functional desk that’s kid-sized. 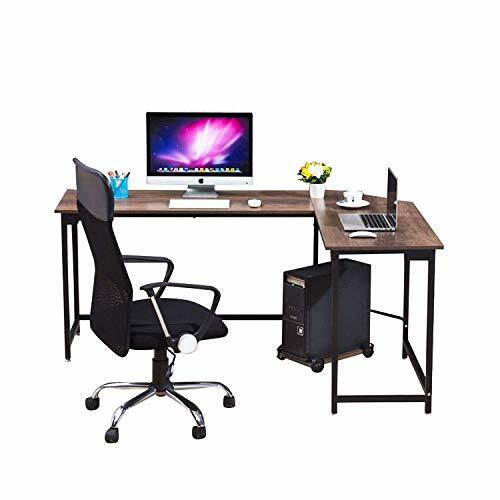 This chair and desk set has a lot of great features. Designed for comfort, the company made this desk comfy by making it adjustable. Both the seat and table adjust so this will last your child a considerable length of time. It’s best for children 3 to 10 years of age. This desk has an ergonomic design that promotes healthy posture. One piece of furniture serves as your child’s desk for years to come since it grows with them. The VIVO desk is stable and strong because of its solid steel frame. There is a sizeable pull-out storage drawer that can house your child’s books, coloring books, papers, and more. This desk comes in pink, grey, or blue trim. Its dimensions are 26 x 19 inches. One of the best features is the 3-year manufacturer’s warranty. It’s a limited warranty with great technical support if you have any problems or questions. This desk set is a fun, interactive station. The surface tilt adjusts from 0 to 40 degrees. Safety is paramount with this desk as it has a 1-inch stopper that prevents your child’s hands from being pinched. The desk doesn’t take long to set up. Once it’s assembled you can move it around with ease, so you can place it wherever you want to. This durable desk set comes in antique white, pecan, or walnut finish to match your current décor and furniture. It goes well in any room in your house. The chalkboard surface is practical as well as entertaining. The lift-up lid opens up for ample storage for chalk, erasers, markers, coloring books, and more. Lipper International made this desk from pine, MDF, and beech wood and the finishes make it a beautiful addition to any room. It has a classic design that’s timeless and charming. The desk’s dimensions are 25.5 x 16 x 26 inches. Cleaning with mild soap and a damp cloth is easy. Don’t let it air dry. Dry it immediately after cleaning with a dry towel or cloth. The desk requires some assembly once you receive it. This desk is best for toddlers to early elementary school age. There is a recessed hold that prevents your child’s fingers from being smashed in the lid. Lipper International designs their children’s products with durability in mind that can withstand abuse from an active young child. They make all of their furniture with functionality and entertainment in mind. The chalkboard surface is excellent for young, exuberant students to practice their alphabet and numbers on. This little kid’s desk may be more expensive than the rest, but it’s sturdy with a clever design. It looks like an adult desk, just miniaturized! Your child will love that it looks like a grown-up desk. Its best for children 3 to 8 years old. There are two deep cabinets for storing supplies, books, or papers and one storage drawer for smaller items like pencils, pens, glue, and other craft or office supplies. There are upright organizer trays on the desk for papers or books. 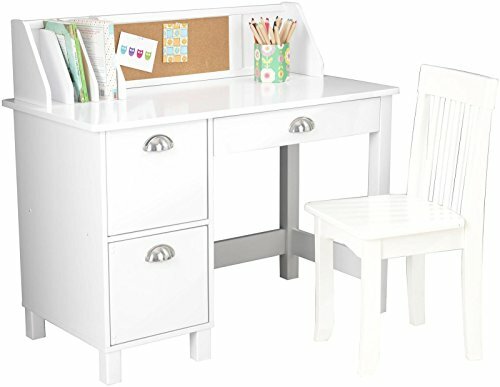 Your child will love finishing homework or doing projects on this desk, and it helps keep their room neat and organized. This cute desk comes in white or espresso and goes well in any room in your house since its attractive. It has a neat cork board to hang pictures, keepsakes, and papers on. The dimensions of the desk are 35.75 x 18.25 x 32 inches. The chairs dimensions are 13.25 x 13.25 x 26.75 inches. KidKraft used MDF and wood to produce this desk. KidKraft products come in multiple versions. The letter at the end of the number in the product description indicates the different versions. 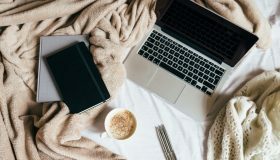 With different versions, you can find the perfect desk that matches your home’s décor. 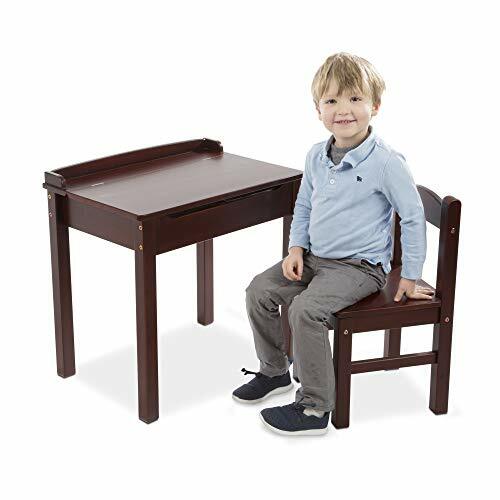 This desk multitasks for many purposes and is built to last your child for several years. 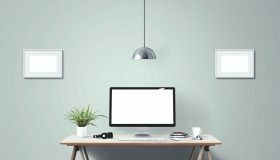 The desks on this list all have some great features. Some of the most important ones involve safety since your child will be using this a lot on his or her own. They come in some awesome designs and multiple colors, so it’s easy to match your décor. 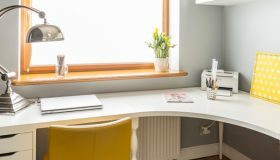 Hopefully this list helps you narrow down your choices and helps you understand the best features to look for in a kid’s desk. Perhaps even one of these desks is the perfect table for your young child to learn, play, and grow with.